Yesterday I uploaded new ISO images for the Slackware Live Edition. They are based on the liveslak scripts version 0.8.0 (beta 8). This version of Slackware Live Edition is using Slackware64-current dated “Fri Apr 15 20:37:37 UTC 2016” as the base. Indeed, that is Slackware 14.2 Release Candidate 2, we are getting nearer a stable release. The ISO images I mentioned above are all 64bit. This time, to humor the complainer on LQ who felt insulted because I was neglecting 32bit Slackware users, I have added a 32bit version of the SLACKWARE variant too. Two new boot parameters “nfsroot” and “nic” add support for network booting the Live OS (PXE client). The Live filesystem will be assembled from squashfs modules located on a NFS export. A network-booted Live OS will have no persistence due to a limitation still present in the overlayfs (no writable filesystem layer on NFS). See the documentation on how to use this new network-boot feature. The “setup2hd” hard disk installer was largely re-written to address a ‘logical error’ in determining what needed to be installed. This time, the script will really and properly install the full OS minus the Live modifications to your hard drive. More customization options were added to liveslak, for those who develop their own variant of Slackware Live. This includes a “post-installation hook” in the “setup2hd” script which allows you to write a custom post-installation script that does things I do not want to add to the setup2hd script itself. The purpose of these customizations is that you do not have to edit the liveslak scripts themselves which makes it easier to maintain your custom product as I keep developing liveslak. The initrd.img file is now compressed with XZ instead of GZIP. This reduces its size with roughly 30% – which is the space I needed to add network kernel modules and firmware to the initrd in order to support network booting. The XFCE ISO still fits on a CDROM! I could not detect longer boot-up times due to the switch to XZ compression. An option was added to enable 32bit EFI support in the 32bit version of Slackware Live Edition – however this is disabled by default, since UEFI-capable computers are 64bit machines and you should probably be using the 64bit OS then. Small improvements and bug fixes were applied to liveslak. Check out the commit log if you are interested. As stated above, you can choose between several variants of Slackware Live Edition. There’s ISO images for the SLACKWARE, XFCE, PLASMA5 and MATE flavours using the latest Slackware-current packages available (Fri Apr 15 20:37:37 UTC 2016) as well as the latest Plasma 5 release which I yet have to upload to ‘ktown‘ (Frameworks 5.21.0, Plasma 5.6.3 and Applications 16.04.0 on top of Qt5 5.6.0). And Mate was updated to 1.14. Download locations for the ISO images plus their MD5 checksum and GPG signature should be available soon at any of the following locations – look in the “0.8.0” subdirectory for ISOs based on the liveslak-0.8.0 scripts. I made a symlink called “latest” which will always point to the latest set of ISO images. This is my new server, it is fast! The Slackware Live Edition comes with two user accounts: user ‘root’ (with password ‘root’) and user ‘live’ (with password ‘live’). 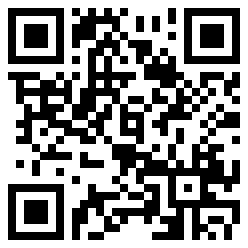 My advice: login as user live and use “su” or “sudo” to get root access. Consult the documentation for assistance with the various boot parameters you can use to tailor the Live OS to your needs. I will soon update the original blog article (http://alien.slackbook.org/blog/slackware-live-edition/) because that is what most sites are linking to. The information in there is not reflecting the liveslak’s current capabilities and may present the wrong picture. I will save the original article under a different name. There is now a Live ISO for people who want to experiment with the Cinelerra CV non-linear video editor. It is using the liveslak scripts and all the customization I enabled in those scripts. It is called CINELIVE, see https://cinelerra-cv.org/cinelive.php . FluxFlux , a Linux Live for older computers, plans to switch to liveslak: https://fluxflux.net/?p=647 but the project seems to be stalled for the moment. Thanks very much for the Slackware Live ISO images. 🙂 I wonder whether the ingrate who berated you for the lack of a 32-bit version will come to your blog and post a “thank-you” note? No, I’m not joking about that either. I’m not the complainer who pushed you over the edge and led to the 32 bit release, but I am thrilled that you have included it. Still many old boxen I tend to run on poor old 32 bit chips (mostly donated & re-purposed machines given to kids for schoolwork, so it’s a noble cause). So maybe for the final release, we might see 32 bit ISO’s for all the releases? MATE, Plasma, XFCE, etc? Ohhhhh… I can dream. Thanks again for all your efforts – I’ve been having more fun with liveslak than anything else going on in the Linux development world – thanks much. Hi John… probably he will never visit, since he never did before either. rel – I have publicly stated before that the final Slackware 14.2 release will be accompanied by both 64bit and 32bit Live Editions. There will not be 32bit ISO images of the other variants though, simply because my new server is fast for a reason.. it has the filesystem on a SSD, and those are not really large. So the ISO images I currently offer is all I can do at the moment. By the way, note that the 32bit ISO boots the SMP kernel. If the 32bit ISO is really going to be used on very old hardware, then perhaps the non-SMP kernel would be a better choice. It’s a simple switch of a script variable (SMP32 needs to be set to “NO”) followed by re-generating the ISO. Am downloading right now and will test. Official MATE 1.12 and 1.14 binaries for Slackware 14.2 will be provided by MSB project once 14.2 gets released. As always, Eric, beautiful work! I had issues pxe booting on my rtl8169 device, but was successful using a qemu VM and e1000. I appreciate your hard work because it encourages me to get digging. izzle121 when the Live OS boots from the network and it fails to configure the NIC, that’s usually an issue with the kernel driver. izzle121 – what driver is loaded exactly for your “rtl8169”? Can not find that exact name in the kernel modules package. Is it one of the drivers in “staging”? I do not copy those into the initrd for the Live ISO. FYI I re-generated the PLASMA5 ISO image and uploaded it today, overwriting the one I uploaded earlier. I found some small issues when creating the 32bit packages and writing the README for the upcoming KDE 5_16.04. Sorry Eric, the module is actually “r8169” for the RealTek RTL8168evl/8111evl 1GB ethernet. I was unable to find the device using ifconfig -a and a “dmesg|grep eth0” returned only the kernel appends from the pxeboot default config. I’ll try a “udevadm trigger -v “modprobe (it skipped my mind yesterday). After investigating dmesg a little closer, I found that dhcpd was timing out and making it impossible to mount the nfs share. I changed the pxelinux.cfg/default to a static IP address and I’m writing this now from Live! Now I get to figure out why dhcpd is taking so long to service the realtek device since I don’t experience that issue when using e1000. Thanks for your help! I am somehow unable to get the slackware-64-live-current and slackware64-live-mate ISO’s to boot using UEFI. I used the iso2usb.sh script without error other that 32bit UEFI being not found. Both will boot using legacy mode. Checking the filesystem, the EFI partition is blank. rEFInd would find the bootable partition on 0.70, but not on 0.80. Trying to boot the USB EFI partition directly failed as well. moldavia, I will have to try iso2usb.sh myself tonight because I do not understand what is happening. The EFI partition should not be empty. 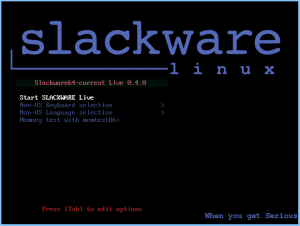 Slackware Live Edition Beta 8 : nice work. Very nice. Thank you. If I remember well I have been reading a couple af weeks ago in your blog about a Nivida module. Where can I find it. 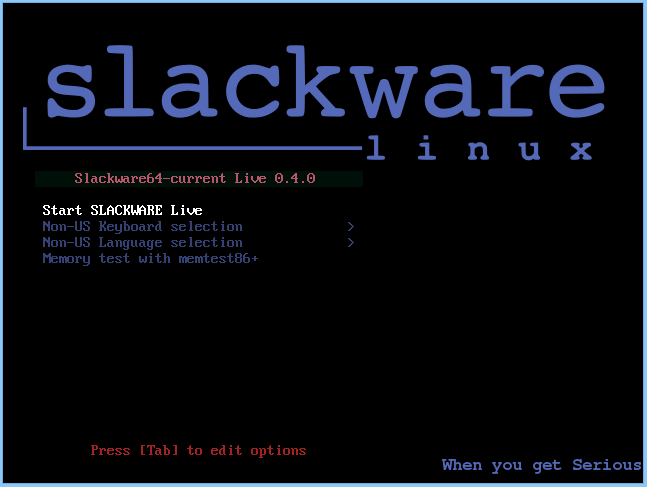 I did not add a NVIDIA module to this release of Slackware Live Edition. The new versions of the NVIDIA driver need a very different SlackBuild and that has consequences for the liveslak scripts too (i.e. the lines that get added to /etc/rc.d/rc.local). So for the moment I decided not to include it at all. The open source drivers should work pretty decently anyhow. I can see the alienefi.xxxxxx directory in /mnt while the script is running, and it does have the EFI files. I ran with the -v option last night, and did not see anything specific to EFI. The script did hang for several minutes while making the filesystem bootable. cgdisk does report an EFI file system on /dev/sdX2. I somehow ended up with a ISO that failed MD5 checking, so I downloaded again, passed MD5, but same result. XFCE iso has March date. Everything else has April date. Was something different done to preserve the old date or did the iso create blow up? Can git on Android phone be configured to output to Slacklive over usb? Just wondering if there any way to run the entire XFCE image in RAM via PXE? I tried it with memdisk which I have used to boot some distributions/tools on ISO, but it only gets part way through the boot and I end up in “RESCUE” mode. The other way I PXE boot ISOs is some distributions like Clonezilla use a squashfs file and the boot loader transfers it from a TFTP or HTTP server half way through the boot. Pete that was an older 32bit XFCE experiment. It should not have been uploaded and I have deleted it now. The only 32bit ISO is “slackware-live-current.iso”, the 32bit full Slackware Live. No worries. It is the 64 bit xfce I was looking for. It is only size that will fit on my phone. Next will mtp to laptop. Then get latest version of iso2usb. Run it on beta7 to create beta8. Thank you for all the work you do. I am studying the mtp src to see if I can download through my phone on to laptop to get around the space restrictions of the phone. If I am successful I would put the plasma iso on the laptop. xfce download is at 5%. Thanks again. Barcoboy, what do you mean with “memdisk”? Did you try that as a boot parameter for the XFCE image? Better try “toram” boot option. I did try the “toram” option when the ISO started booting by pressing Tab and adding it to the boot options, but the same thing happened. After the kernel loads, the bootloader loses track of the PXE ISO, and things come to a halt. moldavia, I have found the error in the iso2usb.sh script and fixed it. The EFI partition will again be filled with data. The fixed script has been uploaded. The fixes to iso2usb.sh do indeed work. EFI partition was not empty, and it was detected by rEFInd, and booted. great news about the fluxbox distribution and the cinelerra one. With this two children alienbob is now a grandfather. Thank you sir. Really good addition! But -O breaks if I only supply the name of the ISO. I have to use a complete path for it to work. Don’t know if that’s intentional. schmatzler, when using “-h” the help function states “-O outfile Full path to a custom filename for the ISO.” So yes, it was intentional. Edit: but I will change that, so that relative paths (or no path at all) are also accepted. Thanks for all your hard work. Slackware wouldn’t be where it is without your help. I already pushed the update to my repository. Note: it will now determine the path relative to your current directory, not relative to $OUTPUT ! Perfect. Just what I needed, thanks. Is possible create a booteable usb stick from iso images from windows OS? is the Wayland option in the login manager supposed to work out of the box? How can I get some output for debugging from it? In /var/log I found only some lines in sddm.log that were not helpful. However I’ve put that up here. Johannes I have no experience with Wayland and will not guarantee that it works at all. The default “Plasma5” session in SDDM is what you should use if you want something that works. I assumed that you were responsible for Waylands inclusion in that menu, a mistake of course. The Wayland session selection is added to the menu by the plasma-workspace package. Johannes – the Plasma Wayland session works for you? I must admit that I never even selected it. And very well it works.